The website was down for some reason last night, so I didn’t get a post written. I’ve decided to use my many photos from this weekend as back-up post material, and now is as good a time as any. 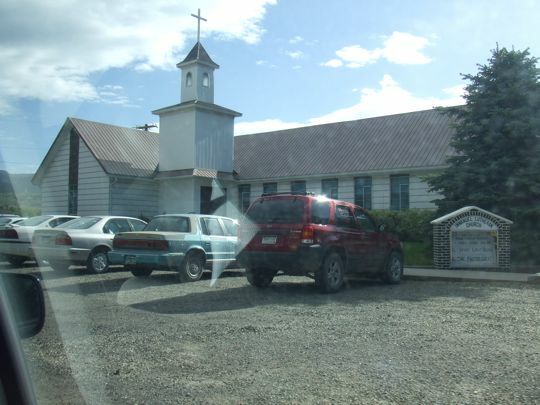 My parents and I went to church in Paonia, a little town about half an hour from Eckert (where they live). When I was growing up in Delta, my dad had Paonia as part of a dual-parish. He went every Sunday, but our family didn’t go to Paonia very often – usually just on Christmas Eve. We’d sit through the exact same Christmas Eve service that we had just done in Delta, and we’d be squirming with impatience because we wanted to get home and open presents!! The drive up was beautiful. I never appreciated the scenic views when I lived there, but now I do. 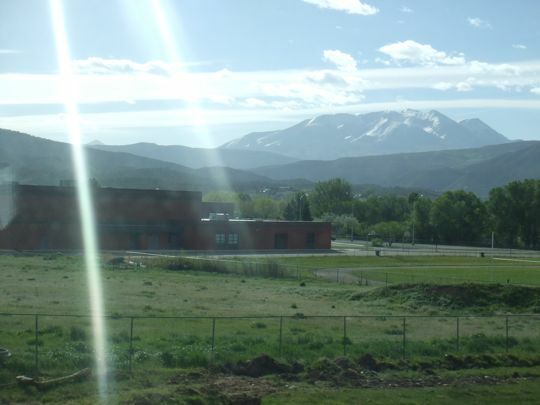 The view from their high school is amazing! The last picture—that’s Mt. Gunnison. For such a little church, it still has a steeple. I miss that. That makes me want to travel to Colorado. I haven’t done an old-fashioned road trip in years. You miss all that stuff when you fly. Of course, there’s the achy body from hours of sitting and the danger of dying from falling asleep while driving, but that’s all part of the adventure, right? Those pictures are awesome! I’m glad you had the chance to go & that you had a nice time! I’ve never traveled west, only north & south. I have to remedy that.